Happy Sunday, and do I have a treat for you! 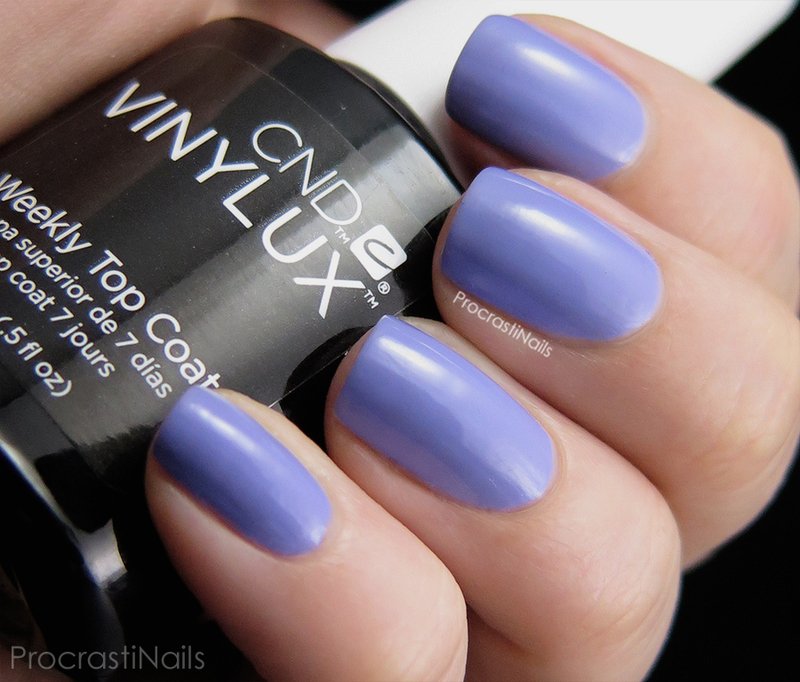 Today we have a look at the CND Vinylux line for Summer 2015 - just released today! The line is called the Garden Muse Collection and it's made up creamy and vibrant pastels with some shimmer and glitter thrown in here and there. This has to be one of my favourite collections since OPI's Pirates of the Caribbean line in 2011. It has that same soft and dreamy pastel feel, and you know how I love my pastels! 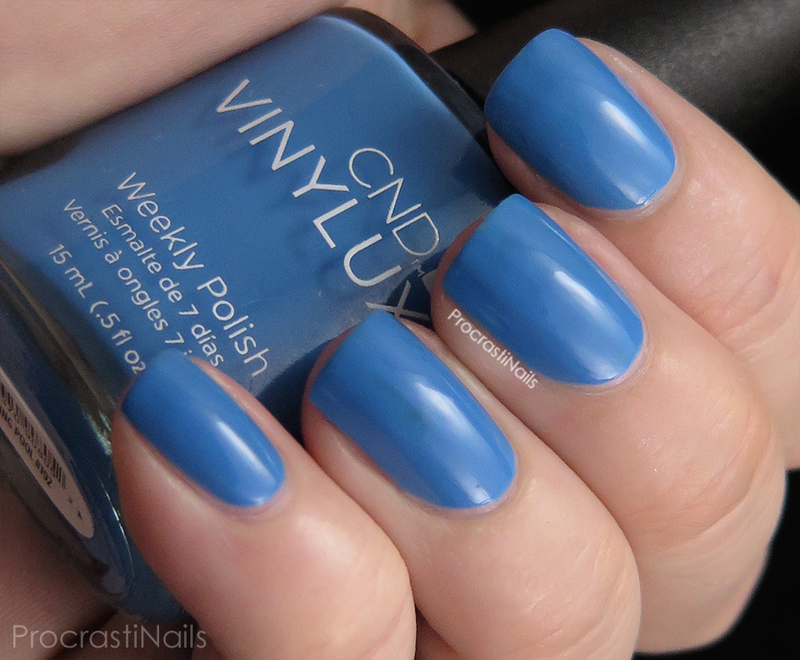 Each polish was swatched with one coat of CND Vinylux Weekly Top Coat to seal it in. The top coat actually becomes more durable with exposure to natural light, and it dries fully in 8.5 minutes to provide week-long chip-free wear. 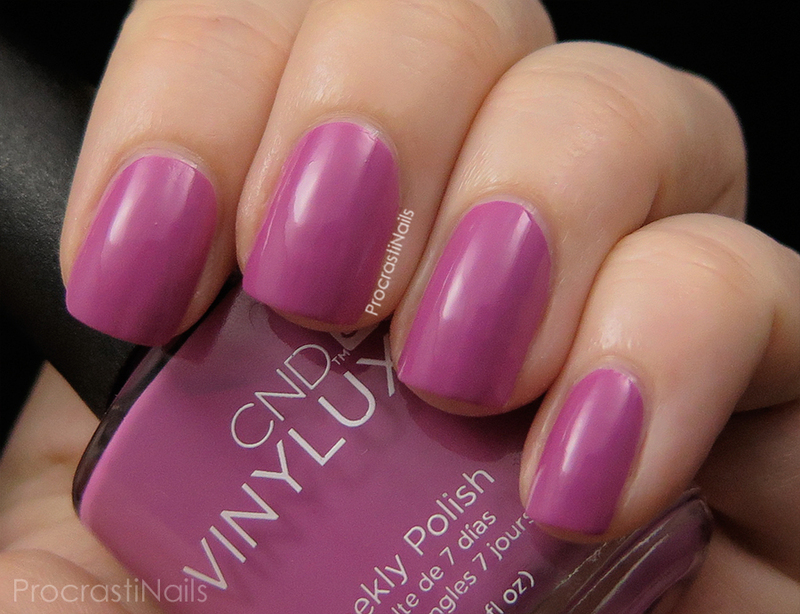 I didn't use a base coat because Vinylux polishes self-adhering and formulated to wear for a full week without base coat - and before you ask no I didn't experience any staining. :) This was my first experience with CND polishes and honestly I think I'm in love. Let's take a closer look at those swatches! Look at that shimmer! Just gorgeous! 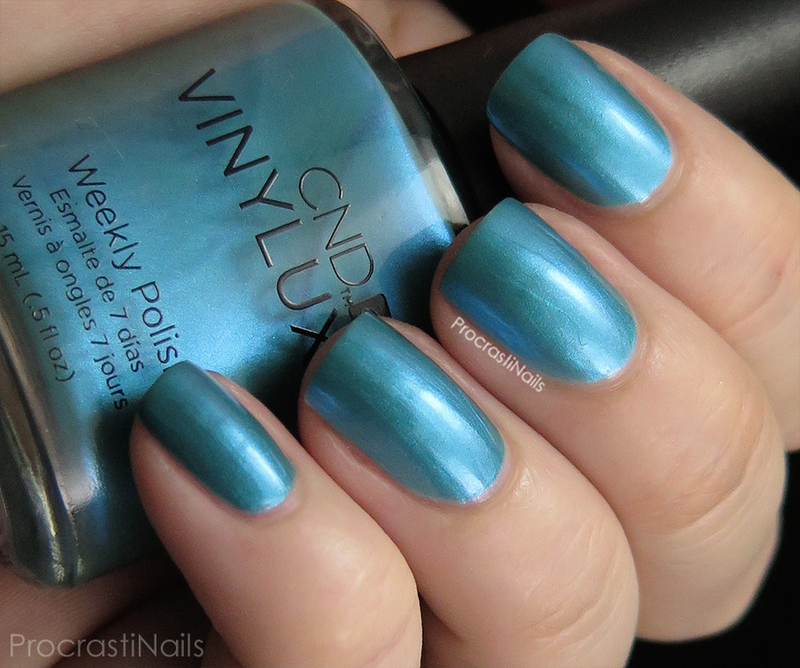 Lost Labyrinth is a teal mermaid shimmer, and it was opaque in two coats. Unfortunately this is one that you need to be careful about when it comes to brush strokes (as you can see on a few of my fingers). 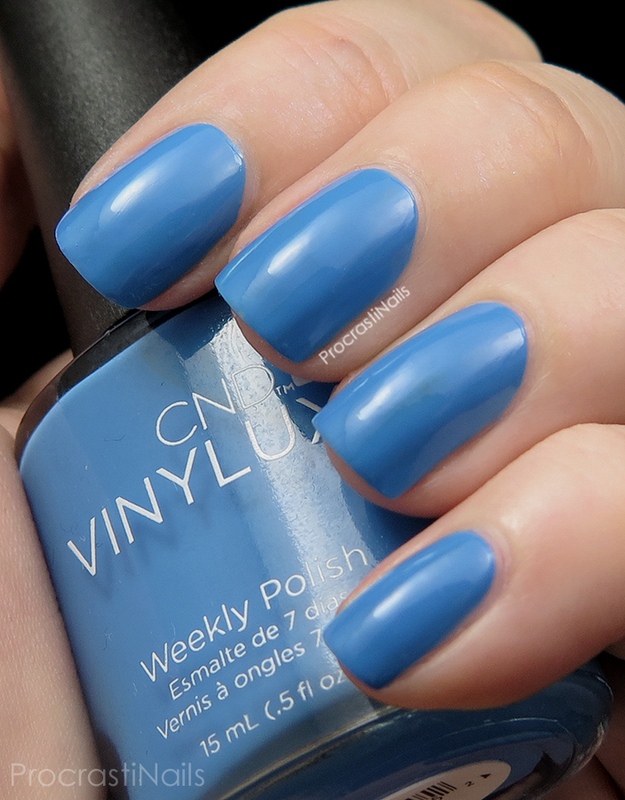 This was the colour I was least excited about in the bottle but that I absolutely adore on the nail! As you can see it has a much finer shimmer than Beckoning Begonia - would you call this more of a frost than a shimmer? Reflecting Pool is a cool blue creme. 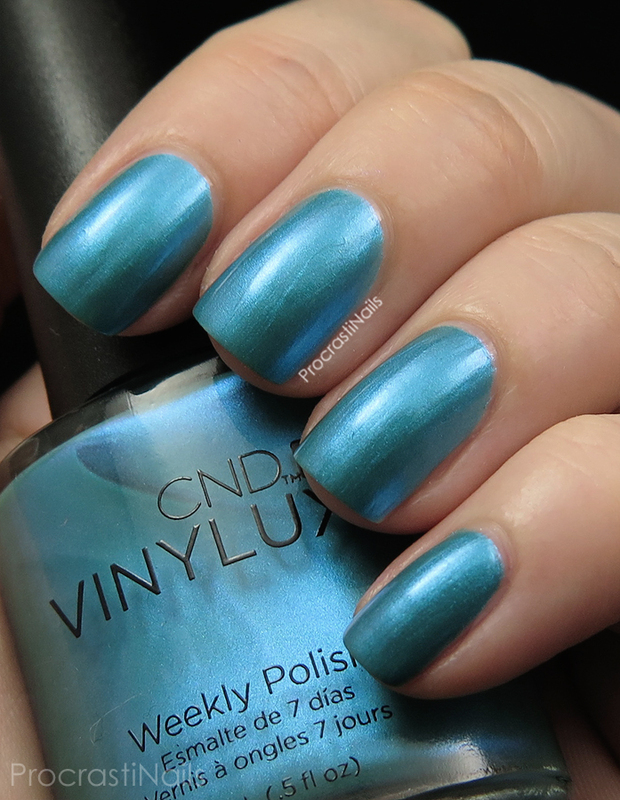 It's not especially unique but I don't tend to buy straight blue polishes so this is unique for me and will definitely get some use in my collection. Just like the others it was opaque in two coats and applied really smoothly. 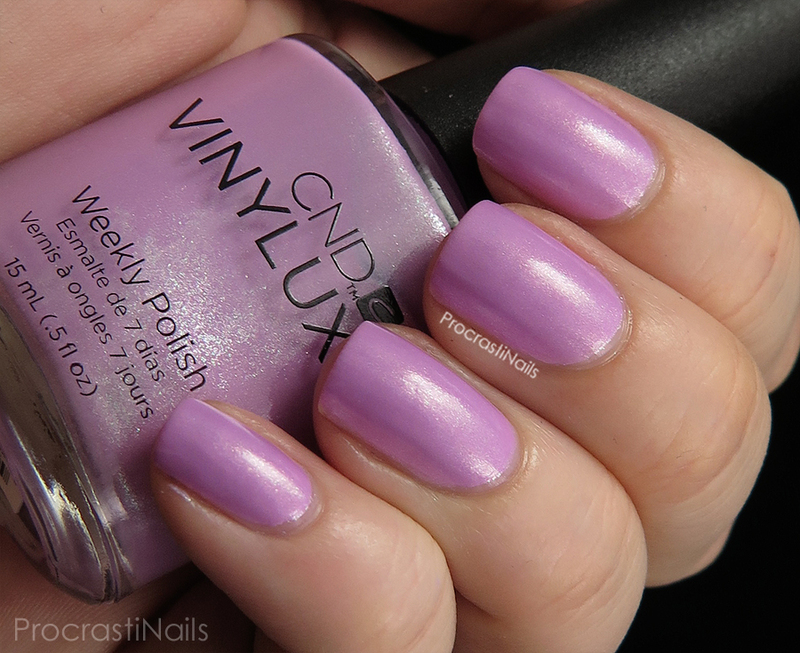 Wisteria Haze is my favorite shade from the collection, hands down. When I went to the event this is actually the shade I got my nails done in (so this particular manicure wasn't actually done by me but by my wonderful nail tech at The Four Seasons... shhh!). 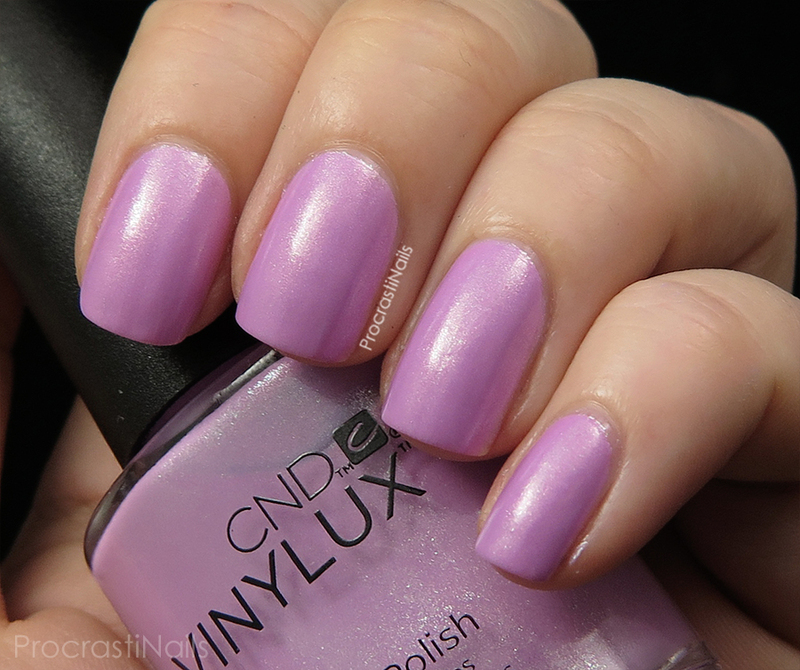 It's a lovely lavender creme and applied smoothly with two coats. 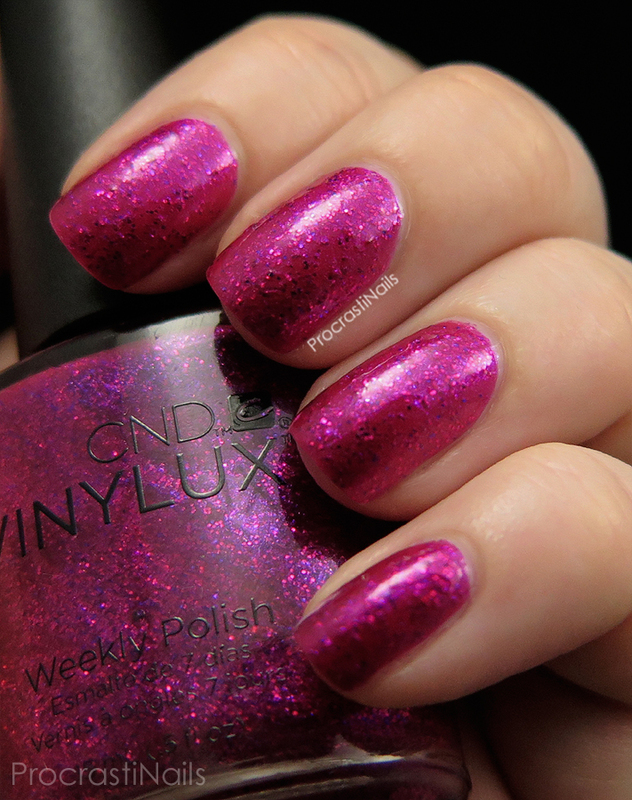 The last polish in the collection is Butterfly Queen which is the only glitter in the collection. 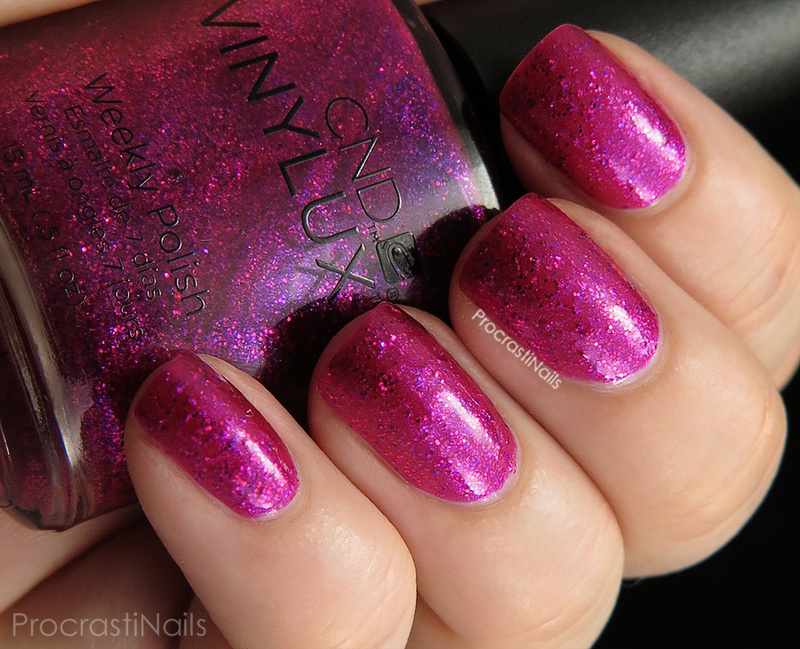 It's a bright and bold pink jelly polish that is absolutely packed with pink microglitter and small pink and purple hex glitter. It's full coverage with two coats but another coat or two wouldn't hurt since it just gets more and more depth with each layer. 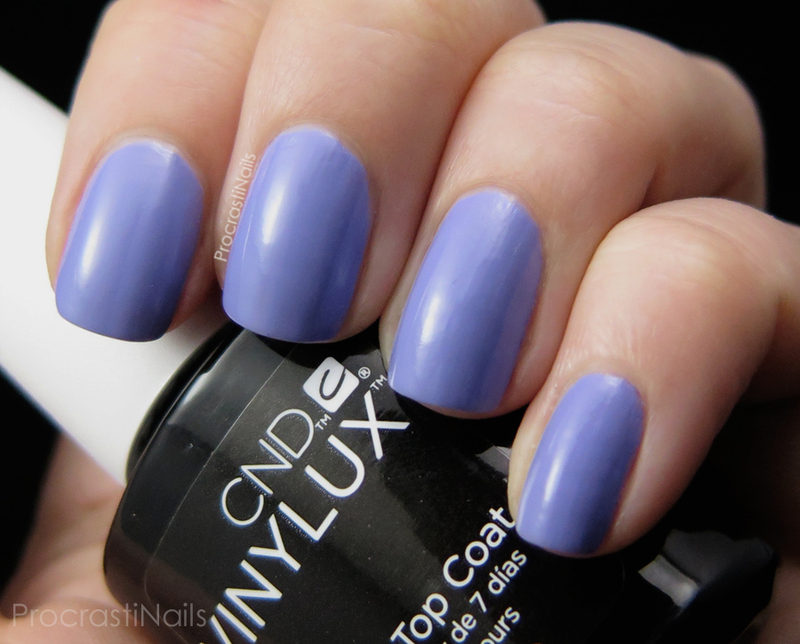 This is one you definitely need top coat with. I used one layer of top coat for these pictures but I wish I'd done another across all of them to really smooth it out. What you see on my ring finger is two coats (because I needed it a bit smoother for the macro shot below) and the rest are just one - you can see some of the difference in the shot above. Oh well, live and learn! Would you believe that until I took my macro shots I didn't actually realize there was purple glitter in here? I thought it was just a really vibrant pink! I really wanted to love Butterfly Queen the most but it just didn't do it for me as much as the pastel cremes did. Wisteria Haze and Lost Labyrinth are my overall top picks, though I do truly adore the whole collection. 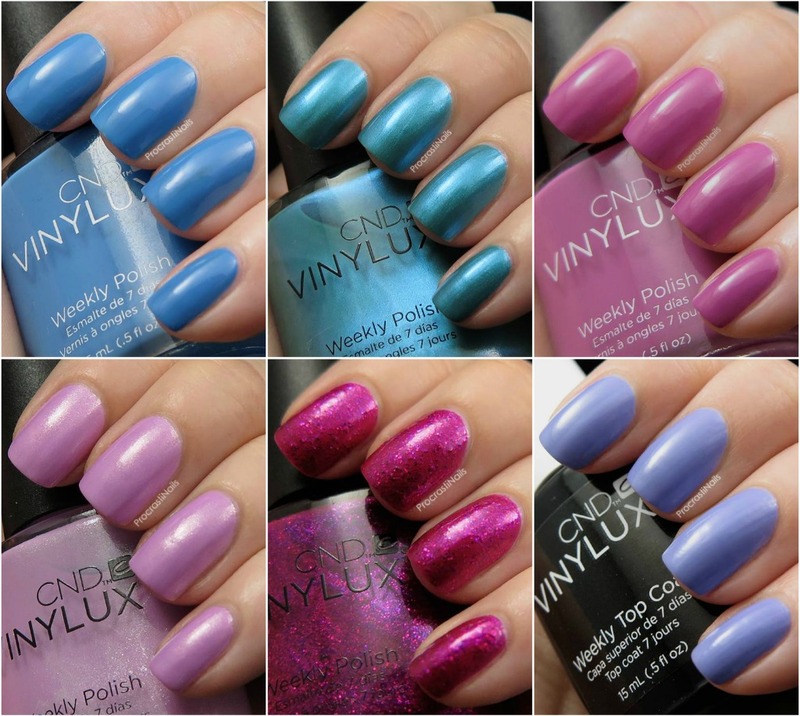 You also might be interested to know that all of these shades except Crushed Rose and Reflecting Pool are also available in CND's Shellac line! Overall I think this was a really great and cohesive collection. You can really imagine wandering through a garden and daydreaming with these shades, perfect for something called Garden Muse. 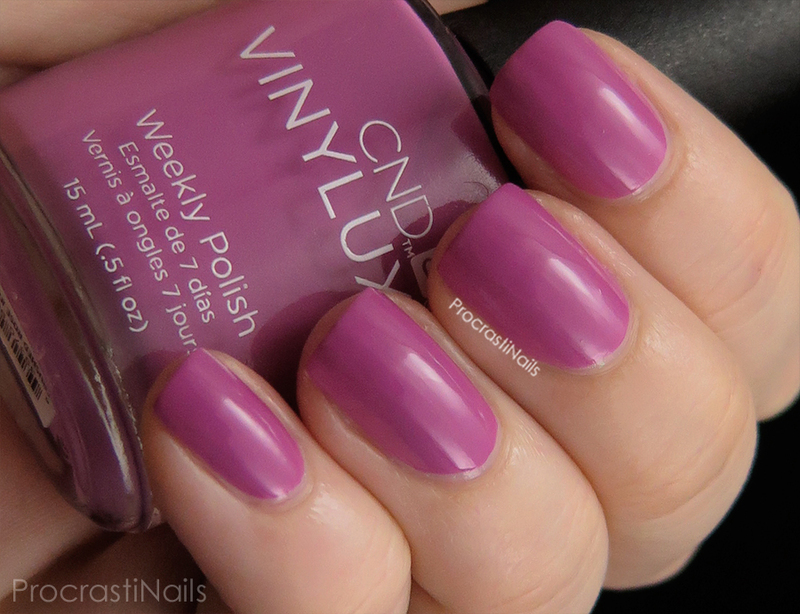 All the polishes applied really well and I'm excited to welcome the CND brand into my collection. :) I'm sure we'll be seeing more of them in the future, I'm hooked now! The Garden Muse Collection is available worldwide starting in March. 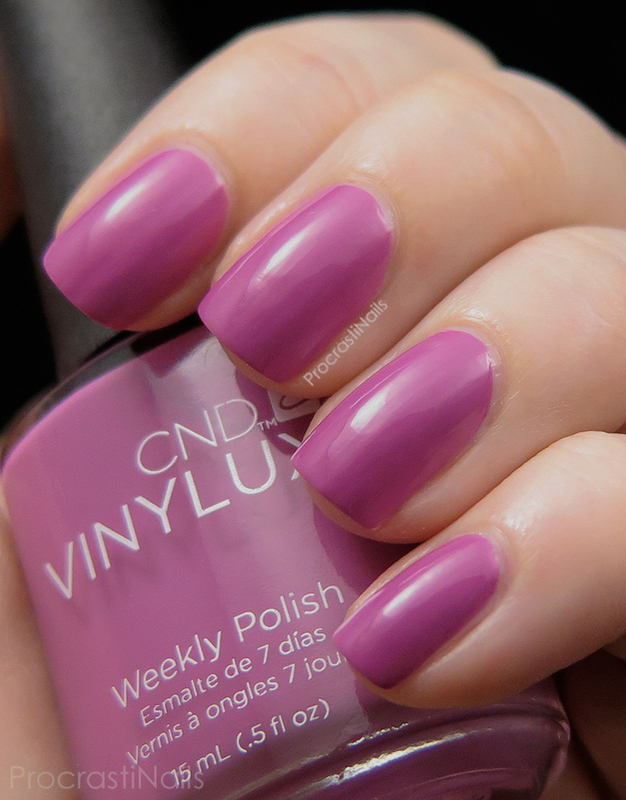 For more information and where to buy check out cnd.com. They look really nice especially those cremes. Crushed Rose is definitely my favorite, it's just so pretty! Summer already? These are really pretty and I can't pick my favorite. I like the finish on the cremes, a lot. Oh my goodness...so many pretty shades in this collection! I don't want to choose a favorite...okay fine I'll try. :p I think Reflecting Pool is really speaking to me! Beautiful swatches! These are all so pretty! 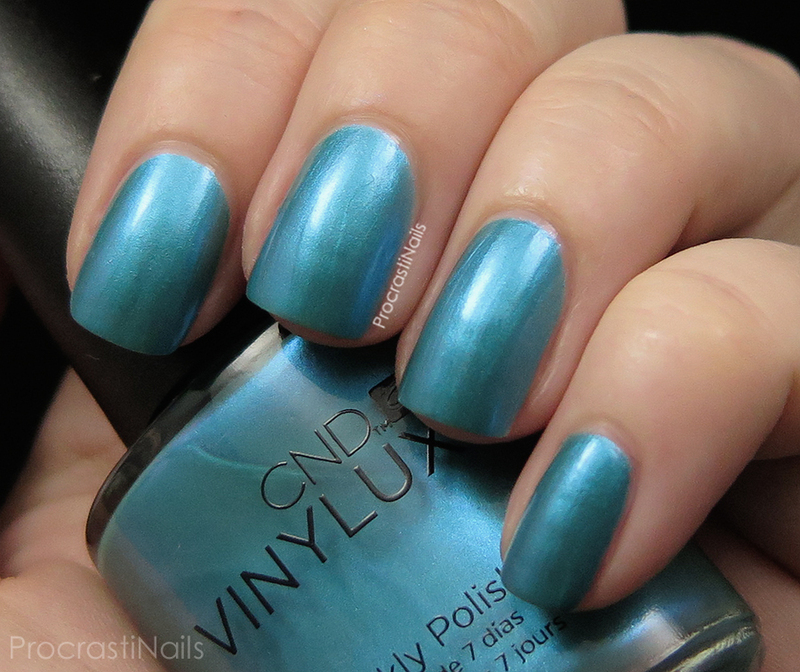 I really like Reflecting Pool because I don't think I own a color like that! Katharine your swatches of this collection are flawless!!! 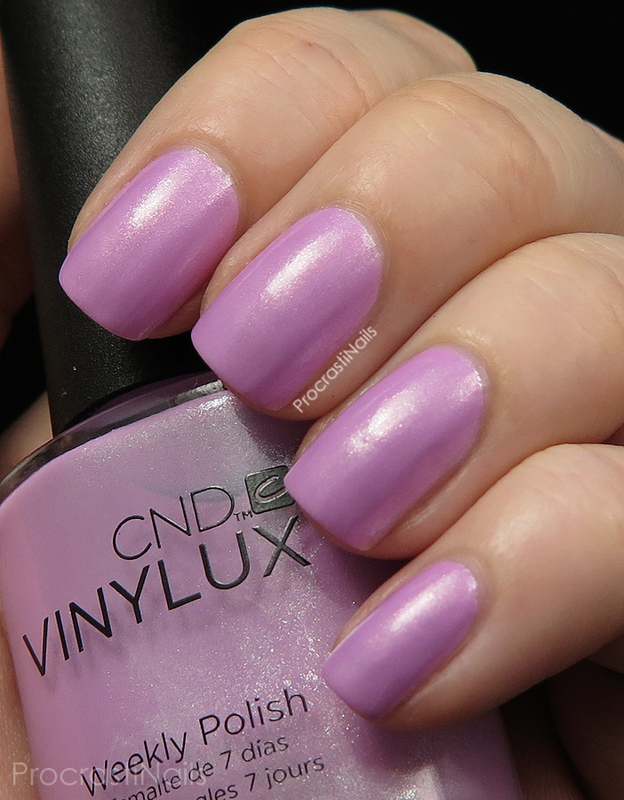 I've never tried CND but I always hear really great things about the brand!! I love all of the shades but my eyes were immediately drawn to Wisteria Haze, so pretty!! These all look so nice! 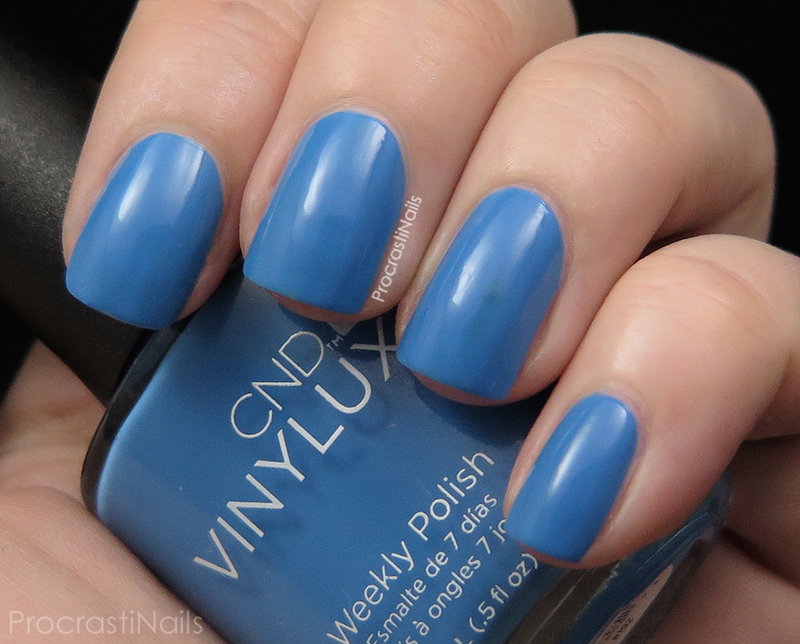 I never tried Vinylux before, curious if they actually wear better :). Gorgeous swatches! I'm in love with Reflecting Pool, it's so smooth and creamy. I really like the colours but can't help feeling Butterfly Queen would work better as the gel version to get a smoother finish. Beautiful swatches! I really love reflecting pool and wisteria haze, the colours really speak to me! Crushed Rose and Wisteria Haze are seriously calling my name. The whole collection is great though. Wisteria Haze and Reflecting Pool are my favourites! Great photos!